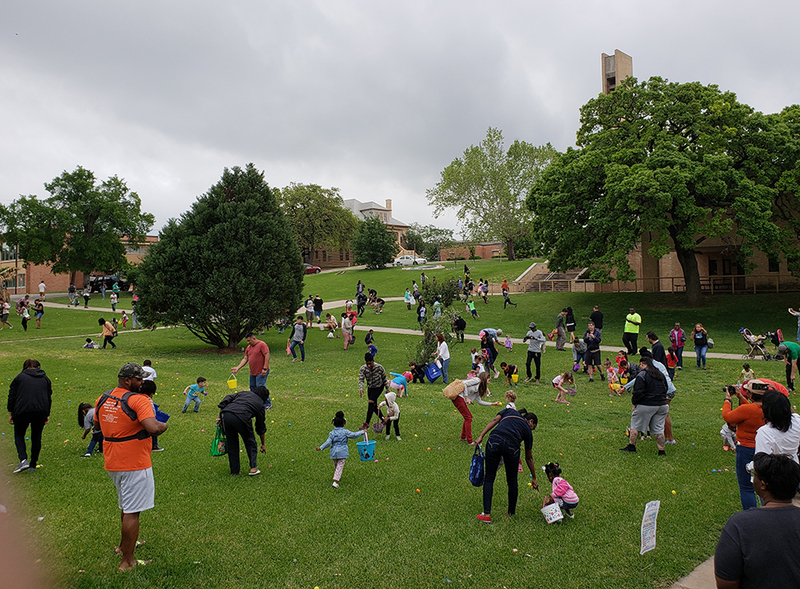 (AUSTIN, Texas) — Children of all ages are invited to hunt for the thousands of eggs hidden around the Huston-Tillotson University campus during the 2019 14th Annual Community Easter Egg Hunt, scheduled on Saturday, April 20 at 10 a.m. on the campus at 900 Chicon Street. The Easter egg hunt features a $500 scholarship prize egg, prize eggs for school supplies and gift certificates, eggs with candy and coins, and filled baskets. Children will gather in the Mary E. Branch Gymnasium for a brief meaning of Easter story time before joining their age groups and beginning the hunt. The event is free and open to the public. In case of rain, the hunt will be held on Monday, April 22 at 4 p.m. For more information, call 512.505.3006 or visit www.htu.edu.